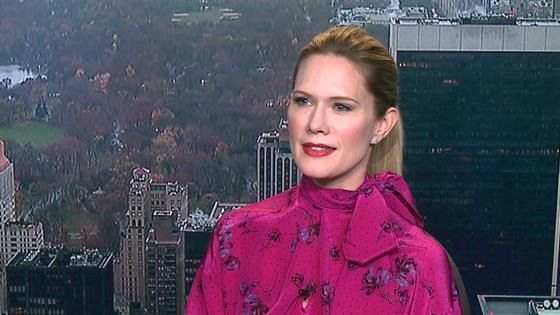 Stephanie March Talks Returning to "Law & Order: SVU"
Stephanie March is back (as are the glasses of justice) as the fan-favorite character Alex Cabot, but it might not be a happy reunion on Law & Order: SVU. Cabot and Benson (Mariska Hargitay) cross paths in "Sunk Cost Fallacy" when the SVU squad investigate the abduction of a woman and her young daughter. You'll find out what Cabot's role is at 9 p.m. on Wednesday, April 18, but fans do know Benson and Cabot aren't exactly on the same side of things. "So many scenes that Mariska and I have done in the past are fairly procedural, you know related to, ‘the police have done so the attorneys should do'—straightforward," March told E! News. "What was great about this, because I love acting with her and she's so wonderful and she's a good friend, it was fun to spar and kind of go after it, be emotional in a scene. Cabot's pretty reserved, to be able to have a different take on her was great," she said. This is the first time March has returned to SVU since season 13. She previously played the character in seasons two-five, season six, 10 and as a series regular in season 11. She admitted she was nervous, but excited to step back into Cabot's shoes—even if that meant finding some new glasses of justice. "It was different and the same, and it was different because so much time has passed since I did it last and so much of my life has changed, personally. And so, I was able to bring more maturity to the character than before, but it was the same in that Mariska was there and a lot of the same crew members were there. It felt—I was surprised. I was nervous going in and when I got there it was so fun, it was like going home, it was great." Click play on the video above for more from March. Be sure to tune into E! News at 7 and 11 p.m. to catch more of her interview.